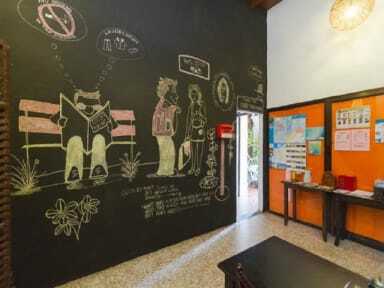 Cocoa Mews Cafe & Homestay i Penang, Malaysia: Bestill nå! Cocoa Mews Cafe & Homestay is centrally located in Penang’s Little India, a 10-minute drive from Komtar and less than a 5-minute walk from UNESCO Centre. It provides air-conditioned accommodation and free Wi-Fi in the entire guesthouse. 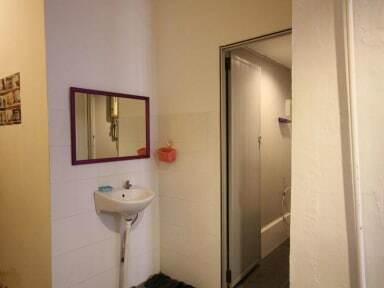 The Rooms are simple with shared bathroom facilities. All rooms have ironing facilities and a hairdryer. Straightforward rooms with traditional wooden furnishings offer free Wi-Fi, TVs and DVD players. Most share bathrooms, while upgraded rooms have en suite facilities. 6. Age restriction: above 18 years old only. 7. Reception working hours 09:00-23:00.